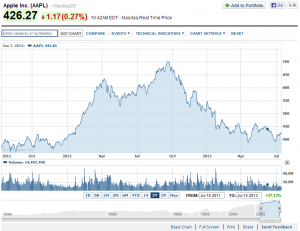 Home » Apple » Can Apple deliver? Posted by on | Comments Off on Can Apple deliver? Since several years, Apple announced their products in 2 to 4 events along a calendar year, but maybe they should think on spreading these events more along a year to calm the anxiety of the people. The other day I was listening to a Podcast from Twit (which are great by the way), and they where saying: “We don’t know what else to say about Apple, its all about speculations, there are no news”. And that reflects the awful truth, since 3 years ago the company is talking about the “revolution of TV as we know it” and they did nothing. I personally bought an Apple TV some weeks ago and I didn’t like the limited functionality of it, so I returned it to the store and I will wait for a more advance and complete product. 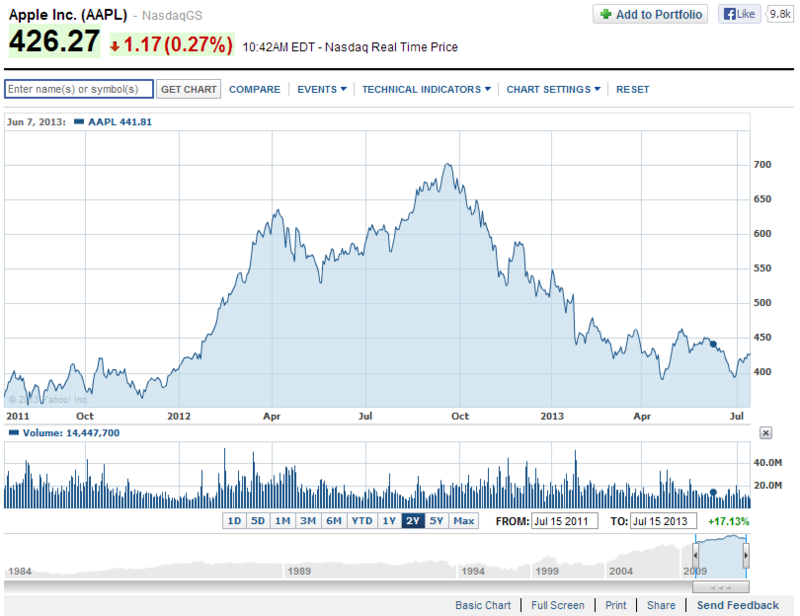 So what are we waiting or would like to see from Apple “this fall”? – New top of the line iPhone with fingerprint reader to start the revolution of the e-wallet and the identification of people with websites, apps, doors, etc. – New “iPhone Light” or “iPhone Mini” that would allow the rest of the world (not so fortunate of being able to pay USD 729 for the expensive high end phone) to have the experience of a nice, simple built device with a great ecosystem of apps. This will allow Apple to increase their sales exponentially, competing with all cheaper Android devices. – Refresh of Retina MacBook Pro line (gosh, that I am waiting for this) with nice battery performance like the refreshed MacBook Air and powerful graphics to run whatever you want. – Refresh of iPad and iPad Mini with better processors, lighter and thinner. Some rumors say the iPad Mini wont be refreshed until next year because of slow screen production, but lets see. The Retina display has to come to the Mini sooner or later. – Apple iOS 7 will be launched too, they already announced it on WWDC. – Mac OS X Mavericks was also announced on WWDC and they will release it too on this event. – Apple TV refresh would be nice to see but there are no rumors of this, or at least not that I am aware of. – Refresh of the Thunderbolt displays with less reflection, thinner, and with more ports and a friendlier price. – Probably we will also see a refresh of the iMac line up with the new Haswell processors from Intel, but this could also wait for next year too. I think this would be all (if I am forgetting or overseeing something don’t hesitate to leave your comment below). If you see the list of potential products the big fruit could announce, they seem to be too many for one single event. So unless Apple is thinking on dividing everything in two events (like they did it in the past) we would probably have to conform ourselves with just some of these things. We have nothing to do but wait, and check what the announcements will include and will not include. I think they have the opportunity to get into everybody´s mind, if they do it right. If they don’t, Google, Samsung and a bunch of other companies will add another bite to the beautiful and juicy Apple.